I have a thing for stickers and I cannot lie. 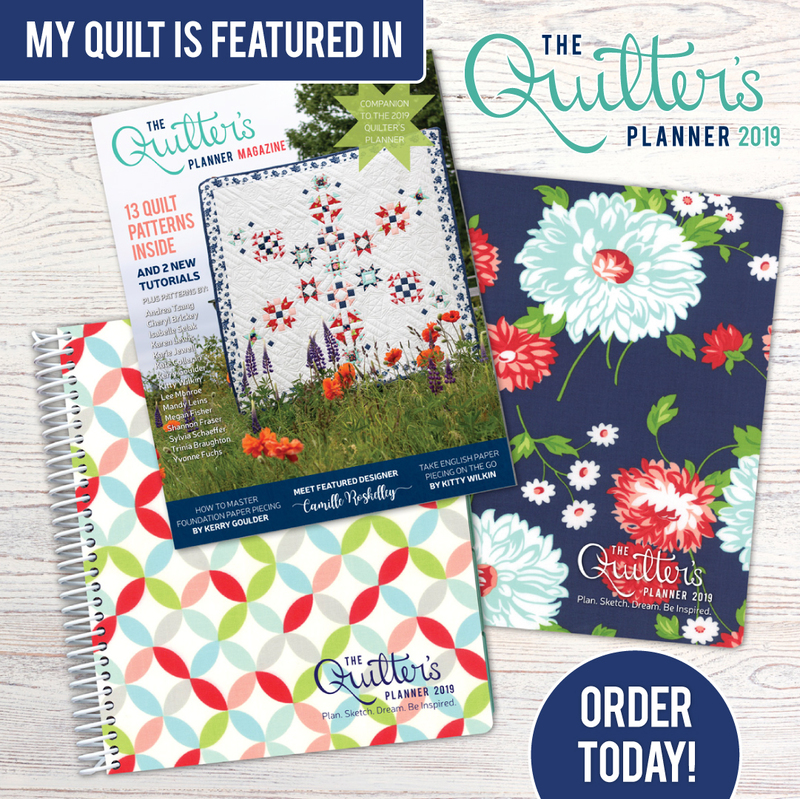 I have been experimenting with different ways to create custom helpers for my Quilter’s Planner. Some have worked great, some not so great. 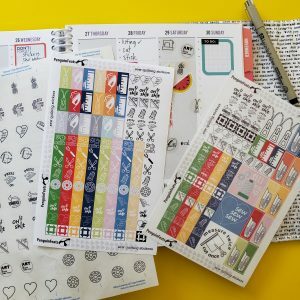 My first try was to create mini stickers to help keep up with my sewing and quilting tasks. 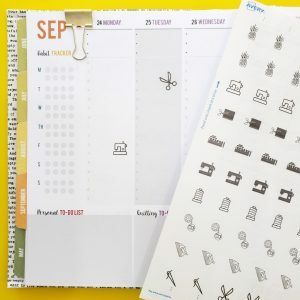 These stickers are perfect for placing and creating lists in my planner. 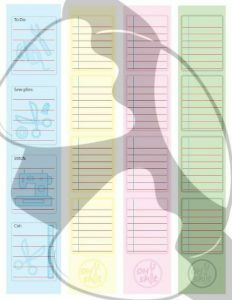 I use them in the weekly layout columns to schedule time with my sewing machine, cutting table, and sewing prep. I have not quite figured out how to create a cut file for these, so for now I cut them with scissors to fit in my planner pages. Then I tried to create a printable sticker for formatted sticker pages in circles & rectangles. These little stickers are formatted to print on Avery sticker pages so no cutting is necessary. And then I wanted to create stickers out of printed graphics & text for inspirational quotes throughout my planner. This led me to use my Xyron Creative Station. I printed text on colored paper and then cut them into fun shapes. After running them through my little sticker maker I was able to apply them to my goals page to give me extra inspiration to keep going back and visiting my goals page for motivation. I have since been able to add lots of little motivational stickers through my planner pages to boost my planning goals. 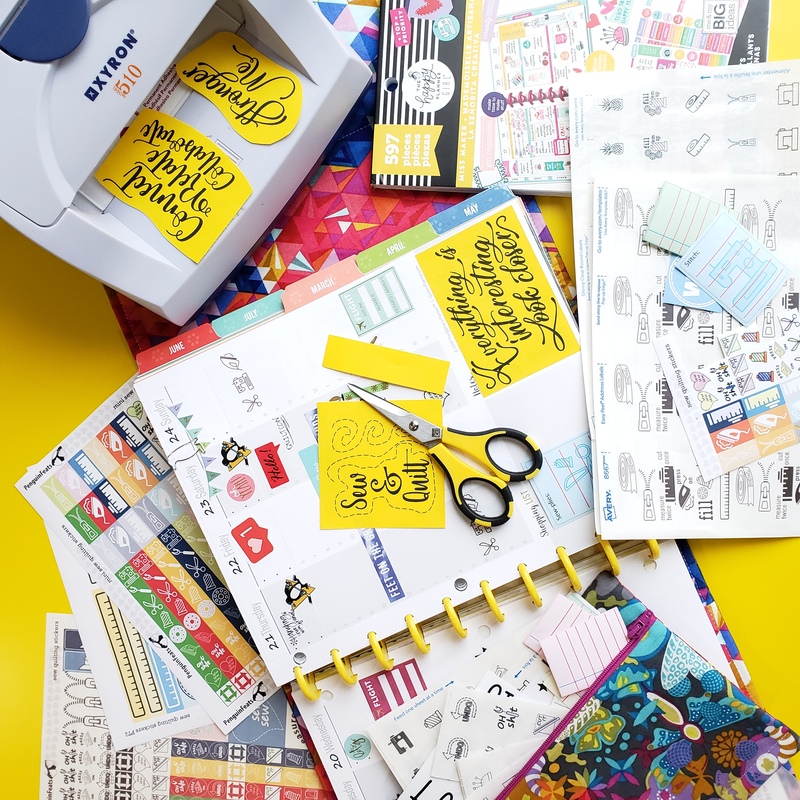 BONUS…a little page of sticker notes to help you plan your sewing & quilting to-do’s. This is a PDF download and can be printed on sticker paper and cut, or, you can print on paper and make stickers with your sticker machine. Click HERE to get the PDF. 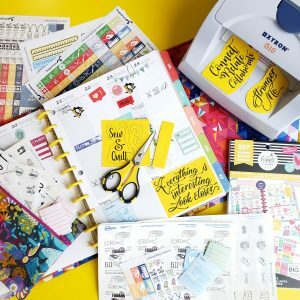 I hope you find a little inspiration to help you motivate yourself in the pages of your planner.